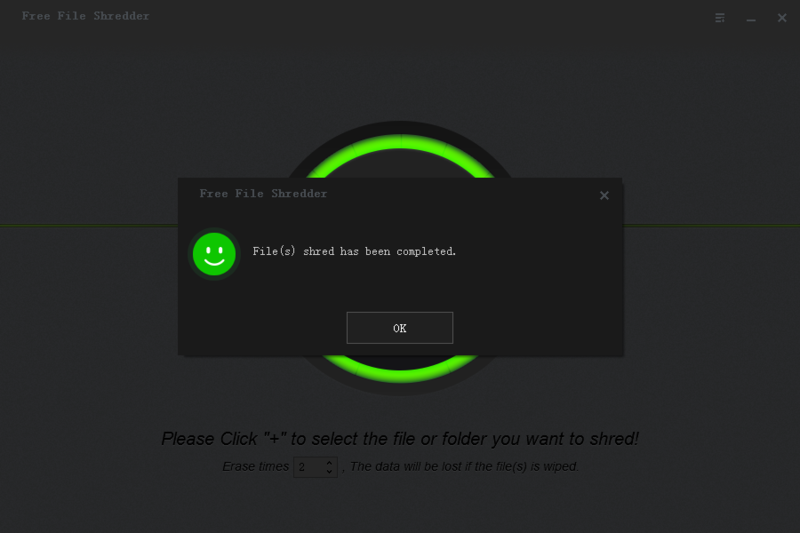 Free File Shredder can quickly erase files/folders, wipe hard drive partition or removable storage media devices like SD card, Pen Drive, USB Flash drive, External hard drive in one click. Before erasing files, please make sure to backup useful data to other partitions because the data will be permanently deleted and can't be recovered by any data recovery software. 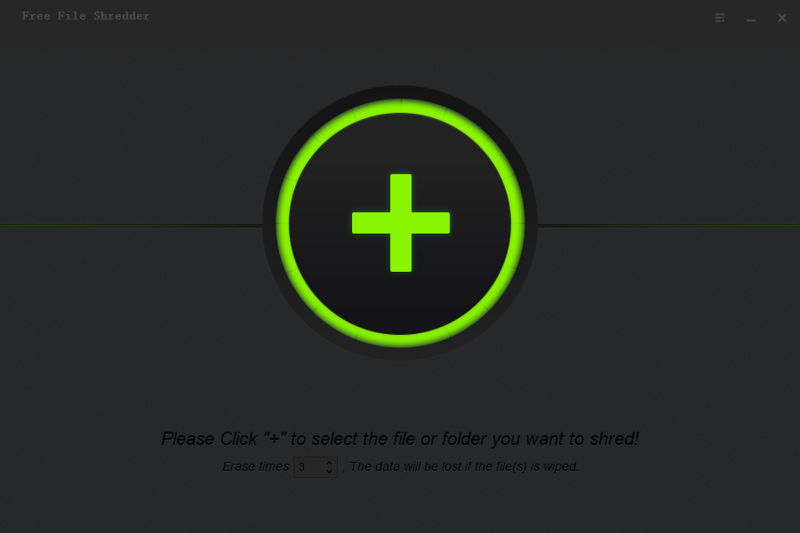 3 Steps to permanently delete files with free file shredder software. Step 1. 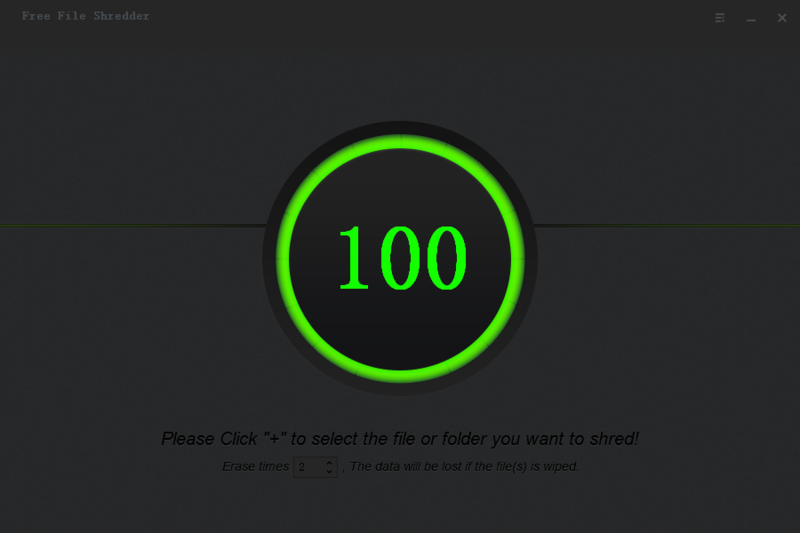 Download, install and launch Free File Shredder on your computer. Step 2. Click "+" to select file, folder or partition you want to shred. Step 3. It will permanently deleted files in a few seconds.